Born Mxolisi Majozi, better known as Zuluboy is a tour de force you can’t ignore. Not only he carved a name for himself as an actor and a TV presenter, but also continues to blaze a trail as a rapper of the finest order – Skhandi-hop. 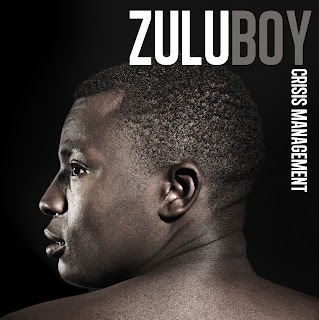 Zuluboy is set for a triumphant return to the charts with his hit-laden album titled CRISIS MANAGEMENT – that was released late last year. The most vital and easily related song of the release is Marikana. He delivers the narrative as a movie script, telling people the story of a young man who buries his father alone after he’s killed in the now infamous North West town strike mines that made international news headlines. The man goes on to join the police force so that he can find out which policeman pulled the trigger that ended his father’s life. It’s a heart-wrenching and tortured tale. He features Bongo Riot of Gang of Instrumentals; in fact Riot collaborated with him on almost half of the songs in the album, Crisis Management. The musician also managed to secure the services of Her Royal Highness Princess Sikhanyiso of the Swazi royal family in a recording studio. The two were brought together by Prince Africa Zulu on a tribute to Swaziland. Their collaboration, Impi, tackles xenophobia and tribalism. The rapping Princess spits fast rhymes with great skill. The duo performed the song as a gift to His Majesty King Mswati III on his birthday earlier last year. One of the songs titled Style, he featured, DJ Bongz, DJ Tira, Mampintsha and Mashesha from Big Nuz and rapper Zakwe. Zuluboy, a father of one girl, has currently embarked on a drive to learn sign language as a part of his lifelong commitment to the Deaf Foundation and his charity. The 17 track album, Crisis Management which is also sung in sign language has a lot to offer and is available in all leading music retail stores.